Investors went shopping at the dollar store early Monday...but the buying spree didn't last too long. Shares of Dollar General (DG) spiked nearly 6% after the retailer reported earnings that topped forecasts, despite missing revenue estimates. Investors were heartened by Dollar General's top line earnings numbers and its plan to buy back stock. But shares pulled back as concern about the company's guidance gave investors pause. "The volatility of the macroeconomic environment continues to pressure the consumer and impact the company's cost of purchasing and delivering merchandise to its stores," Dollar General said in a statement. StockTwits traders took a cautious view. Not sure I completely concur. Sure, the initial pop in Dollar General's stock was pretty substantial. But it's pulled back so quickly that I think it will take more than one good report to really get things going. $DG Beats by 7c, but guidance is less cheerful (and not mentioned on the stream): "sees FY13 EPS $3.15-$3.30, consensus $3.27". Exactly my point (see above). The guidance was roughly in line with forecasts. So, while it's all fine and good to say they see sales picking up during the second half of 2013, a lot can happen between now and then. $DG says perishables business 'on fire' Says seeing good traffic in stores that sell tobacco. That may be another reason to see pressure on the stock. I'm not sure strong sales of tobacco are the optimum selling point. Consumers still feeling frugal? 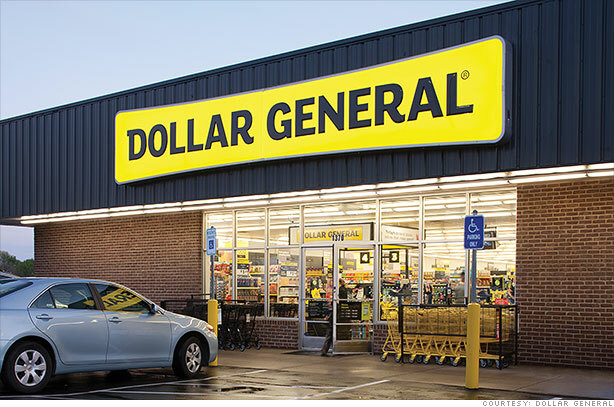 Dollar General earnings beat forecasts. $DG up 3.5% pre-market. Keep an eye on $DLTR and $FDO this morning. They are probably feeling more frugal than we think. Dollar General's stock has retreated from its early rally and rival Family Dollar (FDO) is down more than 2%.